Greater Spokane County Meals on Wheels is proud to bring back The Great Spokane Road Rally for 2019. This last July, we did our 2nd successful Road Rally. We were able to net over $17,000, almost twice as much as last year, to support the senior and vulnerable adults in our county due to YOUR phenomenal support! We also doubled the amount of participating teams from the previous year. Thank you to all our sponsoring partners! What is The Great Spokane Road Rally? We start you off at a central location. You will work in a team of 2. When it is time to begin the rally, you will be handed a passport at the starting line. In the passport will be cryptic instructions on where to find the 1st challenge or, as we like to call them, “Pit Stops.” There are 8 different pit stops located throughout the county. Your co-pilot is there to guide the driver to the location. There are also clues to help you along the way. Once you are at the pit stop, you will do a challenge. It is not a physical challenge, but a challenge that I am sure you will find enjoyable. At each challenge, you can even buy a Mulligan and make a participating team have to work a little harder, or try to improve your own score. We plan to then kick off a BBQ around 3:30 and handout awards. We should have you out the door so to say around 5:00pm. Yes, and I did say awards. How you win the awards is based on how well you do at the challenges. There will be 1st, 2nd, and 3rd awards for the overall winners. For every pit stop, there will be a winner too! Our Goal: No senior goes hungry. Hunger is a serious issue facing thousands of seniors each day. Greater Spokane County Meals on Wheels fights senior hunger and social isolation for vulnerable adults. Our goal is for no senior to go hungry. 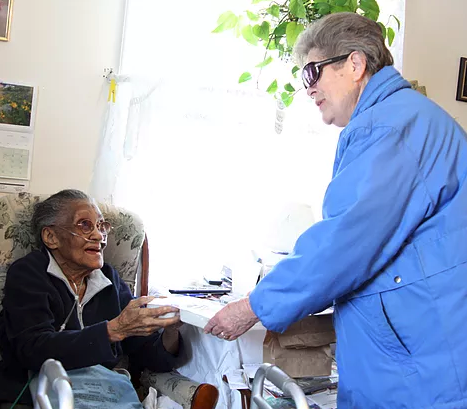 Greater Spokane County Meals on Wheels provides home delivered meals to home-bound elders and persons with disabilities and meals at 12 senior dining locations in Spokane County. Last year we provided over 270,000 meals. Learn more about how Greater Spokane County Meals on Wheels helps those in our community. SIGN UP BEFORE JUNE 1st TO BE ENTERED INTO A DRAWING FOR PRIZES! This is not a timed race! The objective is to reach each pit stop and complete the challenges. Must have valid driver's license, registration and proof of insurance.